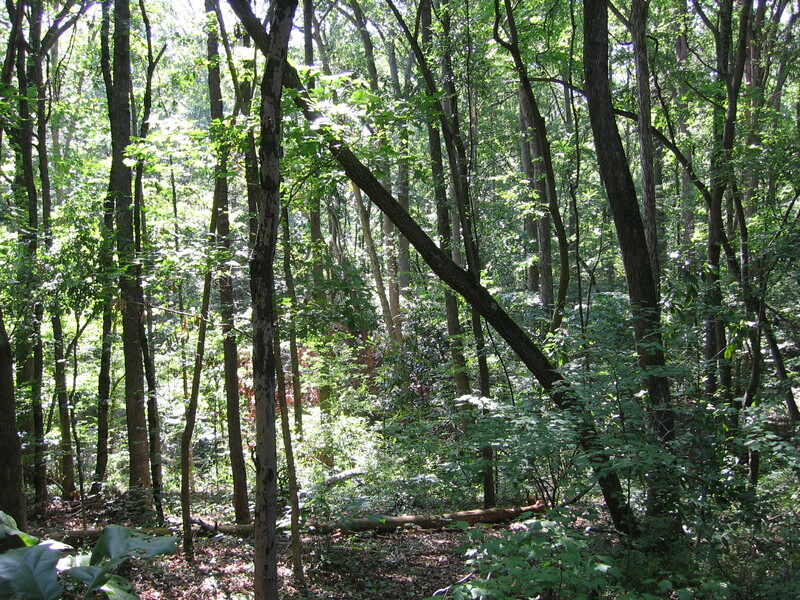 Sourwoods can be identified in the forest by their typical diagonal growth pattern, and their dark-colored bark. 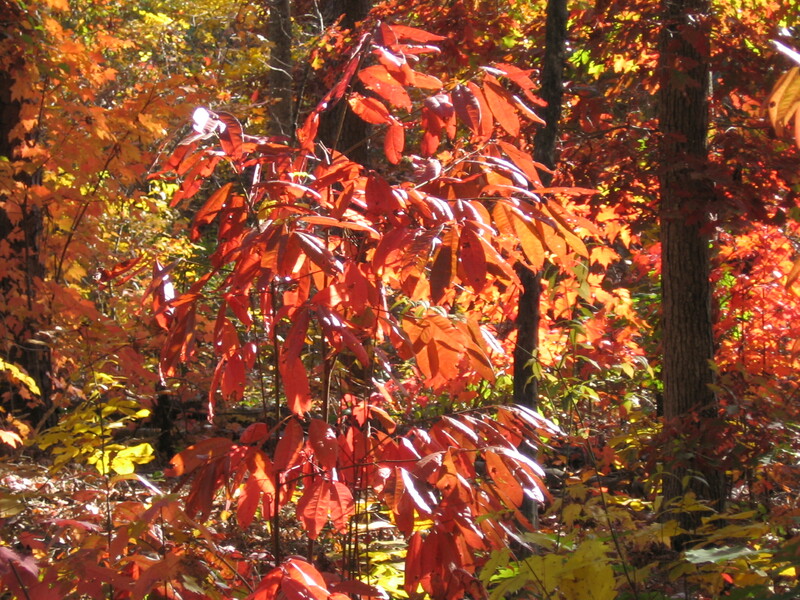 In mid-October, the trees turning brilliant red along forest edges are likely to be sourwood. 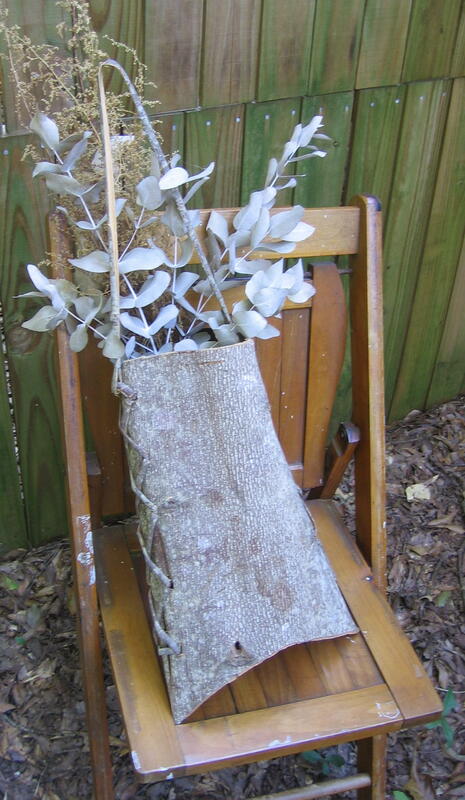 Many know sourwood as a flower source for honey, but they may not know that it’s a tree. Sourwood, a native of Eastern and Central U.S. forests, has other valuable uses, some of which are supernatural, and appropriate as we approach Halloween. In last week’s Urban Forager column, I suggested that one can identify a tulip poplar if looking for the gray, straight lines in the forest. Sourwoods are the dark, diagonal lines. Very few sourwoods grow straight, and the dark, grayish-red bark is deeply furrowed. After a sourwood is cut down (a sad sight), reddish, shrub-like, suckering branches grow from the trunk base. The oval leaves of the sourwood tree turn beautiful garnet-red in the fall. Mature trees in autumn have golden tassels of seed pods hanging against the garnet leaves. Beautiful combination. Sourwood trees (Oxydendrum arboretum) are in the acidic soil-loving Heath family, including heather, blueberries, cranberries, mountain laurel, Rhododendrons and azaleas. Comparing sourwood flowers to blueberry and heather flowers – which is how plants are classified – one can see the similarities, all resembling tiny bells of fused petals. Sourwood flowers droop in sprays of creamy yellow at the ends of the branches. When the little fruits form, they stand upright, defying gravity. After the fruits dry, the entire spray of dried seeds falls to the ground in one, collective piece. Leaves of the sourwood form long, lime-green ovals, which give a burst of sour-flavor when chewed. The sourness can quench your thirst while hiking by stimulating your salivary glands, and offers a cooling, refrigerant quality similar to sumac berries. Tea from the leaves can alleviate a gassy stomach, often causing one to belch. 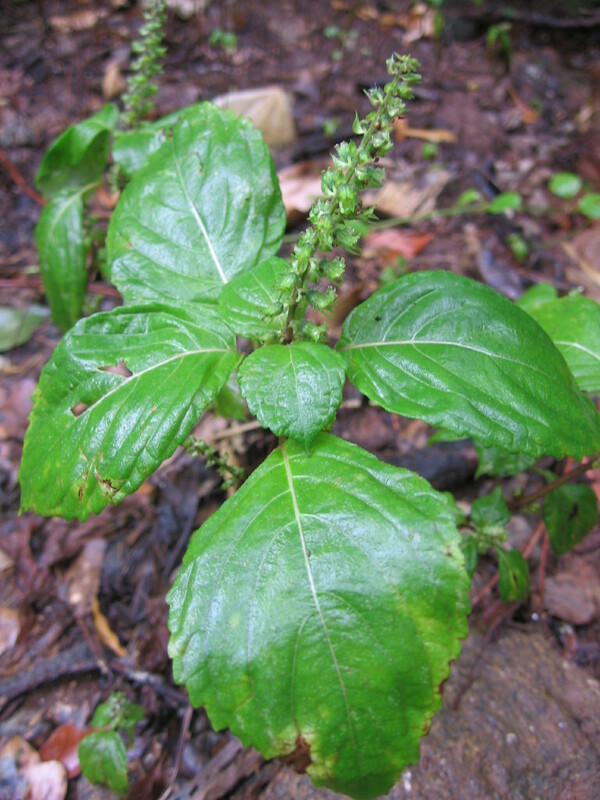 Sourwood leaves are diuretic, and historically were used for dropsy, an illness now considered as edema associated with congestive heart failure. 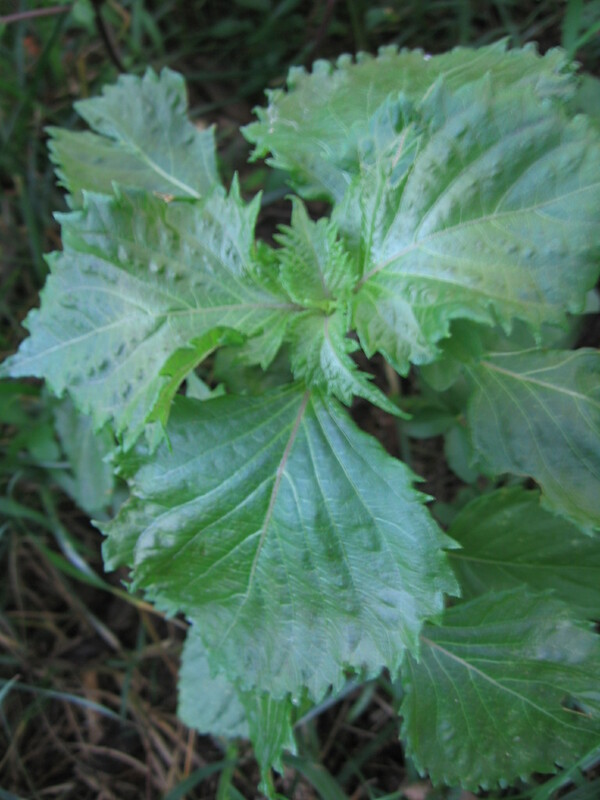 Cherokee Indians have made sedating nerve tonics and respiratory remedies from leaf and bark tea. The wood was used by the Cherokee for arrowshafts, pipestems, sled runners and firewood. One Cherokee herbalist informed me of a supernatural use of sourwood. In Cherokee belief, there is a creature that has long fingernails like Freddy Krueger, who inserts his nails into somebody’s liver to steal his or her vital essence. The liver is vital for energy, so if the liver thief were draining someone’s liver, that person would become exhausted. For protection from the liver thief, fresh sourwood branches would be placed around the victim’s home, preventing the liver thief from entering. 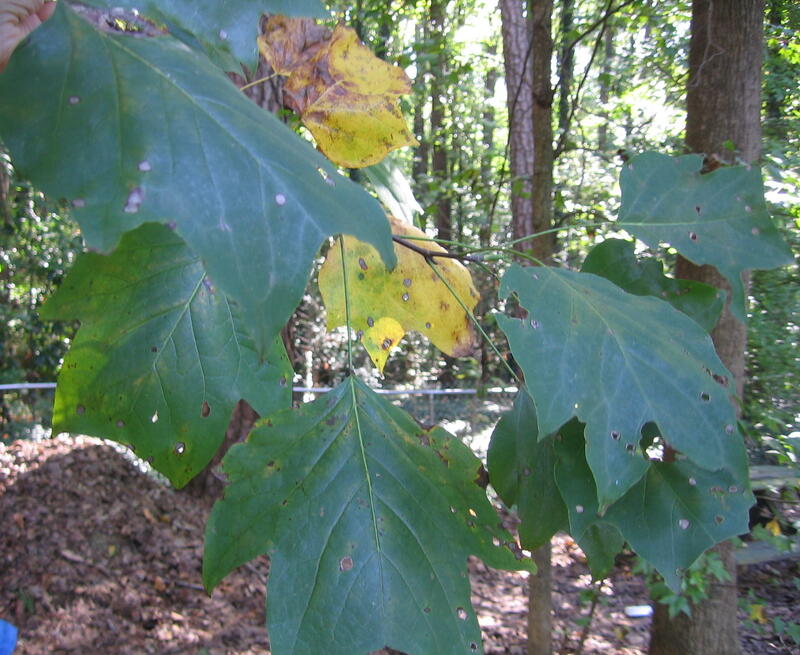 An Appalachian folk remedy for childhood asthma was to cut a lock of hair from the child with asthma and stuff it in a drilled-out hole in a sourwood tree, measured to be a bit taller than the child at the time. By the time the child grew higher than the hole in the tree, the asthma would be gone. The tree was reported to suffer, instead. 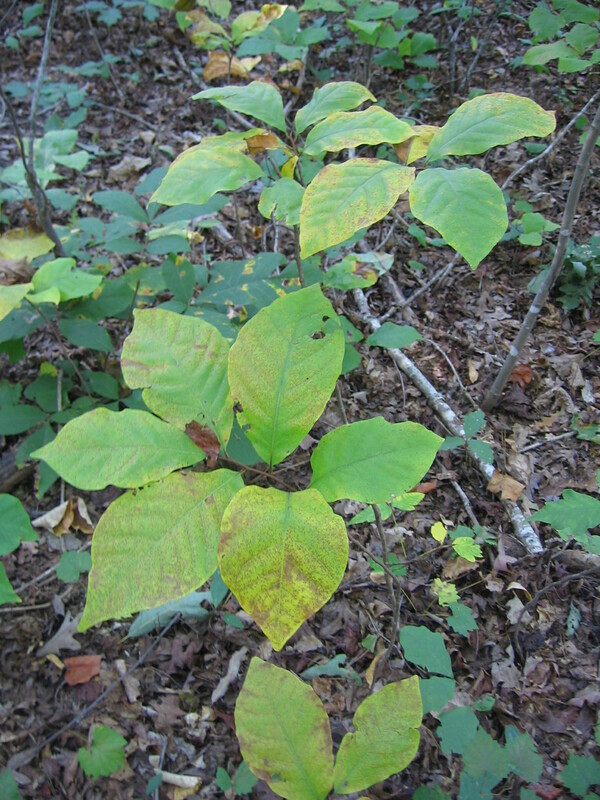 According to the USDA Plant Database, sourwoods, which are sensitive to urban problems of pollution and soil compaction, are threatened in Indiana and endangered in Maryland. 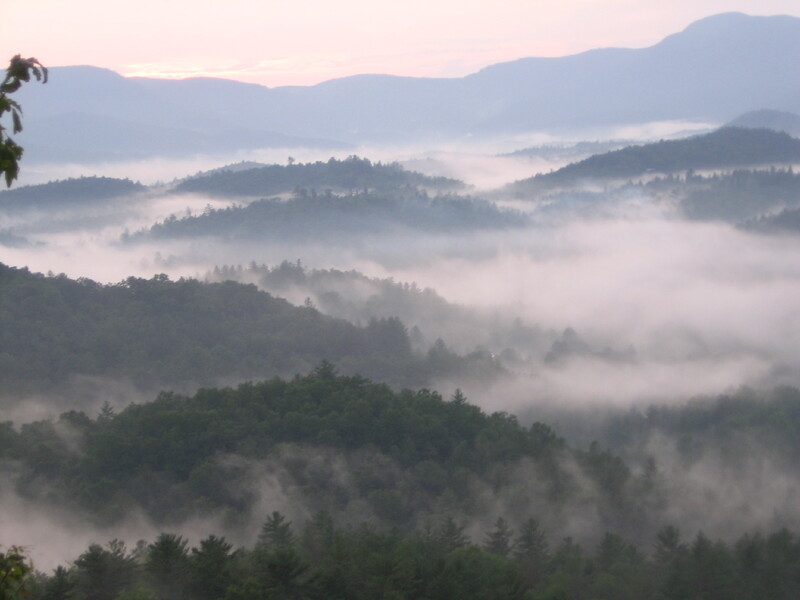 These beautiful, useful trees carry a piece of America’s cultural history. Show your support of sourwoods by tasting its leaves and eating its honey. 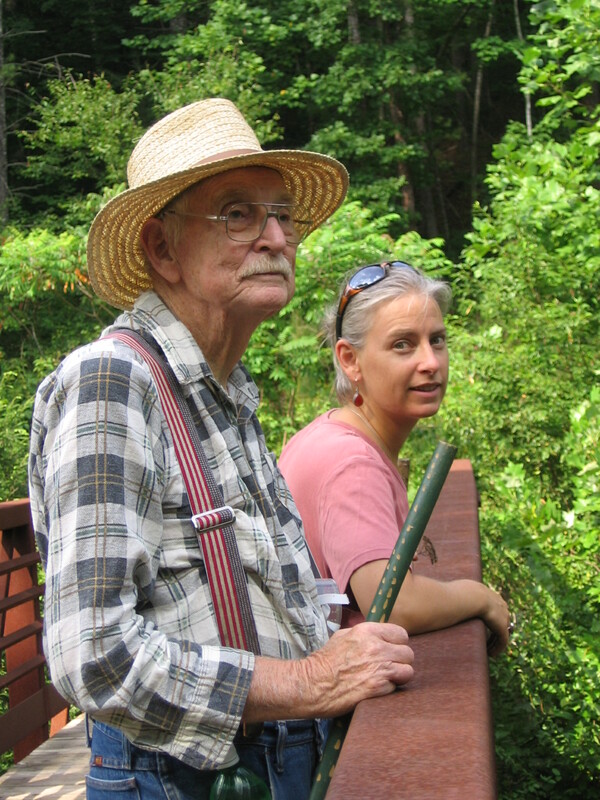 The above article originally appeared in the Urban Forager column of Athens Banner-Herald, Sunday, October 16, 2010.